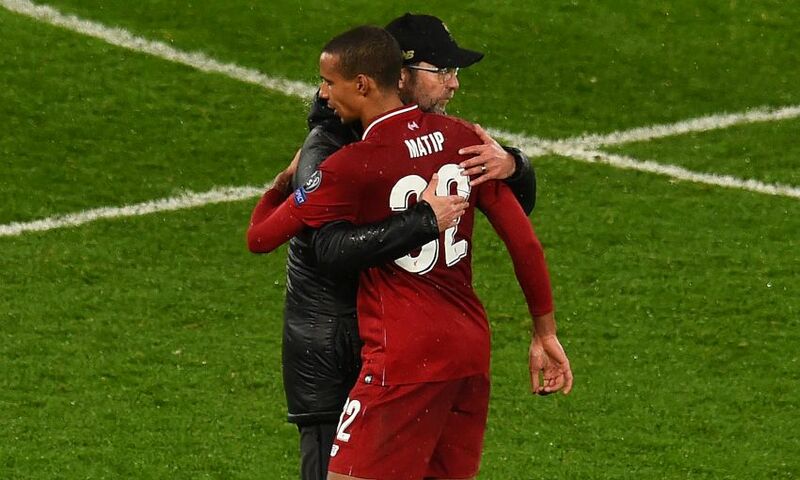 Jürgen Klopp has praised Joel Matip for his impressive form since returning to the Liverpool side from injury in January. The centre-back, who suffered a fractured collarbone in mid-December, has started each of the Reds’ past seven matches, with the last four including a clean sheet. Matip is set to partner Virgil van Dijk again for Sunday’s Merseyside derby and the manager was asked about his form at today’s pre-match press conference. “I think it was the Burnley game [in December] when he played for the first time but it was not the Joel we had before he got injured, because when he got injured it was outstanding what he did, especially the Napoli game – where he got the injury. He played a really top-class game. “We lost him then in pretty much the wrong moment. He is a really high-class player. He is doing the job and not asking for any credit or whatever, he is just there, he loves what he is doing. It’s really nice to have him around. “We had a couple of different centre-half couples and they all worked, that’s the best news. The problem in the centre-half situation we had this year, I never had in my life. We have pretty much five centre-halves with Nat Phillips and we don’t have three now – only if we say Fabinho is a centre-half. Nat Phillips is on the way back, he at least trains now fully. We need a bit of luck that it all works out.